How to Estimate the Cost of Bathroom Renovation? At one point or another, you’re bound if not destined to consider a bathroom renovation for your house. After all, first comes love, then comes marriage, then come the kids, and then comes home renovation. Circle of life. As with all milestones in life, many questions arise. This is just as much if not more so the case with renovations. Bathrooms are one of the first rooms people consider when thinking of a home renovation. The very first and main concern that arises is, how do I estimate the cost to renovate a bathroom. Maybe your bathtub is a bit too small to provide a soothing soaking space. Perhaps it looks like a time machine stuck in 1974. Regardless of your reason, there’s one bit of info that’s important to know – how much it will cost to fix it. There are few factors that you need to consider when you estimate the cost of bathroom renovation. Think about the things that are causing you to consider a bathroom renovation. Do you hate the tile? Is the space too small? Want a separate bathtub and shower, instead of a shower/tub combo. Maybe a double-sink can cure the fight for the sink when brushing your teeth before bed. By identifying the things that are the most important to change, you can rank your bathroom renovation priorities. Then, you can clearly see what your budget will cover. When it comes to the budget, it’s always a good idea to establish a contingency budget. An amount of about 20 percent of your total renovation budget should cover most if not all unexpected surprises. By ranking your project’s priorities, you’ll know what items can be mixed if unexpected costs arise and your contingency budget doesn’t cover everything, or if you decide to submit a change order because you discovered a stunning (and more costly) fixture that you just can’t live without. Adding space adds to the cost of your project. If you’re trying to make a space feel larger by moving or removing walls, that won’t have as great an impact on the cost of your project as adding additional square footage. An average figure for new square footage is a $95/square foot, but this will vary by location. That’s just for the added ‘dry space’*; the level of finishes will additionally alter the cost. Consider rearranging your bathroom’s setup or selecting space-saving items (pedestal sink instead of a large vanity, for example) if you want to make your bathroom feel larger without adding to its actual square footage. 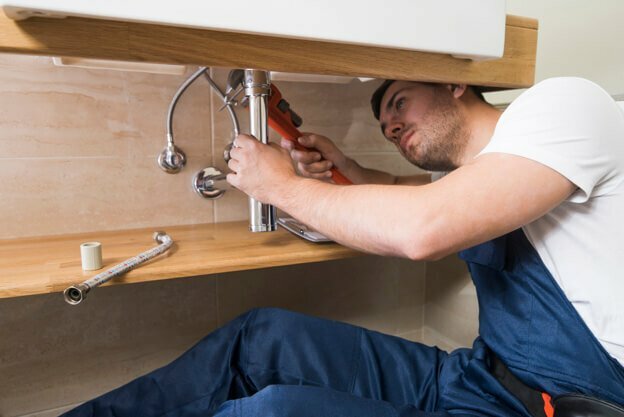 When pondering your bathroom’s setup, note that moving the bathtub, shower, sink, etc., can add to the overall cost of your project as new plumbing and electrical will be needed. Premium finishes tend to come with premium price tags. Sometimes, high-end products (that name brand, claw-foot tub or sleek sinks) have similar counterparts, with lower prices. Planning ahead and keeping an eye out for deals can also help lower your overall cost to renovate a bathroom. How extensive is the amount of work required? In addition to finishes, think about the extent of the work to be done. If your main complaints about your bathroom involve the paint color, faucets, toilet, flooring, and other cosmetic things that don’t involve electrical or plumbing work, you’re looking at a rather “light” bathroom renovation, and likely won’t need to obtain a permit. 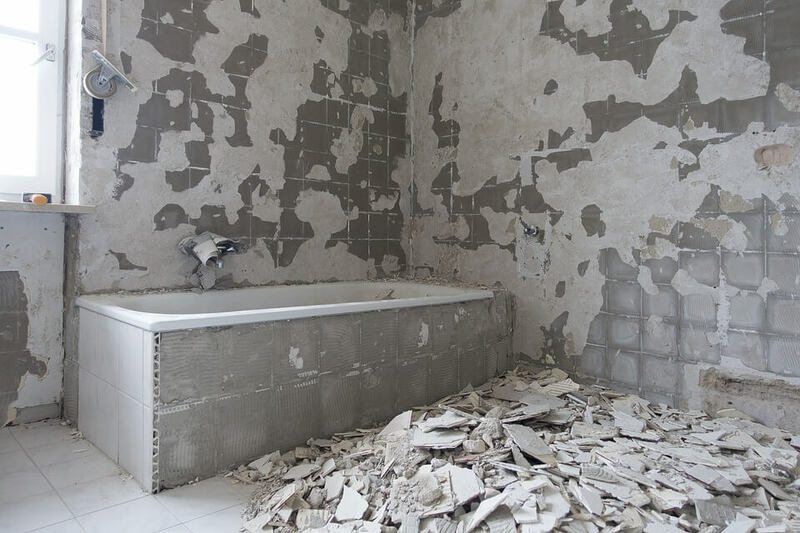 If your bathroom needs more than a facelift, and you’re looking at new plumbing, electrical, or HVAC work, and/or drywall, you’ll have a more in-depth renovation and likely need a permit, as well as a contractor and/or subcontractors. And if you’re after the crème de la crème of bathroom renovations, with custom finishes (stone replacements for tile, for example), interior structural rearrangement, and new doors and windows, the cost will, of course, be higher than a “cosmetics only” renovation or similar renovation with lower-end finishes. Remember that the things you select for your space will always have a direct effect on the total cost of your renovation. Start planning your bathroom renovation! By thinking about the things you dislike about your bathroom, you can identify the level of renovation that you want to take on, which will help you determine the cost. Technology can also help, and renovation cost estimators that take your location into account, involve years of industry knowledge and utilize hard data can give you a good idea of the bathroom renovation cost. *Dry space addition includes foundation, subfloor, walls, window(s), house wrap, and roof. It does not include siding, insulation, sheetrock, fixtures, or furnishings. Sorry, Kukun's services are only available on valid US zip codes. Get expert advice, ideas, best practices and tools to execute a painless home renovation. Kukun is the one stop shop for home remodeling needs. We thread together the four industries that make remodeling possible for the customer. Real Estate, Loan, Construction and Retail come together on Kukun to serve homeowners, buyers and sellers. Copyright © 2019 Kukun. All rights reserved.